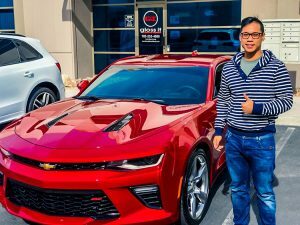 At Gloss It, we have researched and tested the latest in nano ceramic coatings Las Vegas (and world-wide) has to offer for over a decade. 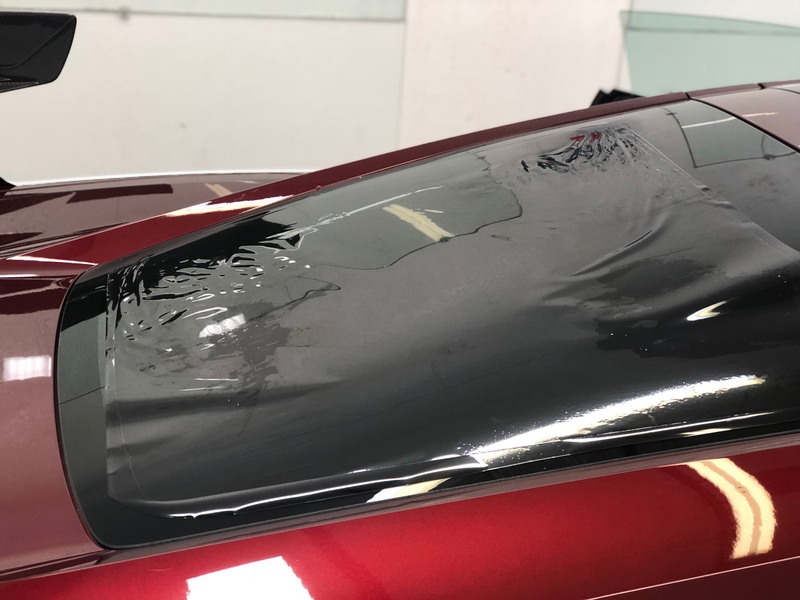 We work with EVO Quartz Coatings, which will provide your vehicle with the protection it deserves to withstand the test of time and Las Vegas weather elements. Although there are many nano ceramic coating products available in the market today, EVO Quartz Coating continues to provide the best performance and protection from environmental elements. By interlocking Nano-Ceramic Particles together, EVO Quartz creates a barrier over your clear coat. Evo Quartz Ceramic Coating is chemically engineered to have the most solids per volume than any other ceramic coating on the market. It will create a hydrophobic barrier that protects your paint from harsh barriers and is scratch resistant. Las Vegas’ Gloss It Design and Detail Studio uses EVO because it provides the best protection, greatest durability and finest looking finish. Evo Quartz Ceramic Coating is the most durable coating in our line of products in Las Vegas and around the world. It features Nano-Ceramic Particles that interlock together creating a barrier on top of your clear coat. Evo Quartz Ceramic Coating is chemically engineered to have the most solids per volume than any other ceramic coating on the market. On top of being scratch resistant, it will create a hydrophobic barrier to protect your paint from any harsh elements. We have 3 different versions available, the only difference being the solid content which affects the durability. All versions contain the same amount of gloss retention and enhancers to maximize the shine of your vehicle. Get the Ceramic Car Protection you need to dazzle in Las Vegas. When paint is uncoated, debris can sit in pores within the paint. Adding layer of protection prevents debris and pollutants to reach paint. 95% OF A GREAT FINISH IS IN THE PREP POLISHING. THAT’S THE GLOSS IT DIFFERENCE. The EVO 5H gives your car’s perfectly polished finish a long lasting protective coating against harsh weather, marring, water spotting, and common scratches. 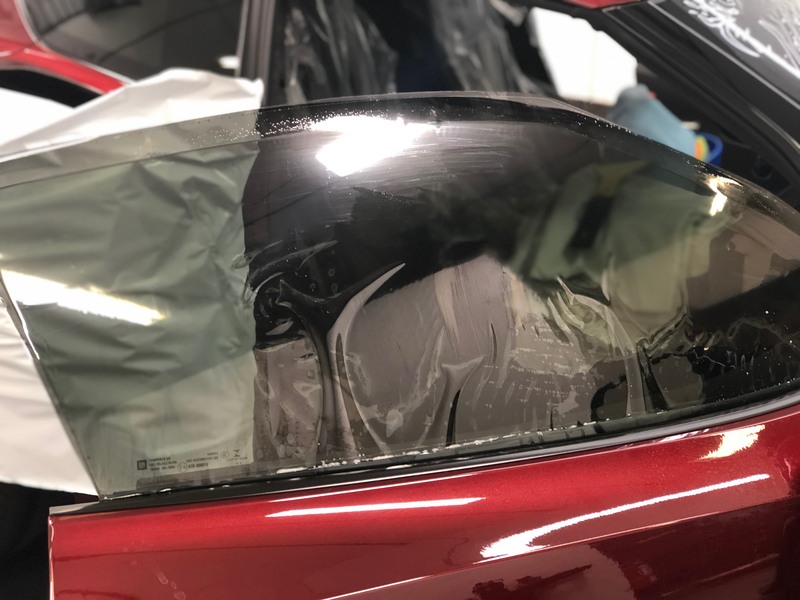 If you are in it for the long haul when it comes having an amazing glossy finish then you need to be protecting your car with our EVO Nano Ceramic Coatings. The EVO 5H is a car coating protection that is formulated to last and only requires reapplication every 2 years or 30,000 miles! Evo Quartz 7H has a very slick feel and produces a ultra high-gloss candy-like appearance. glass and makes an excellent wheel protection. Evo Quartz 7H is the ultimate all surface protection. Long lasting durability of 3 years or 40,000 miles. Evo Quartz Coating Pro 9H offers amazing semi-permanent all surface protection. Featuring the latest in nano-glass coating technology. Evo Quartz Pro 9H has a very slick feel and produces a ultra high-gloss candy- like appearance. It is safe on conventional clear coats, single-stage paints, gel coat boat finishes, chrome and any type of metal. 4 YEAR / 60K MILE DURABILITY. The best and hardest SiO2 Ceramic Coating ANTI-STATIC, WEATHER-RESISTANT CERAMIC NANO-COATING. 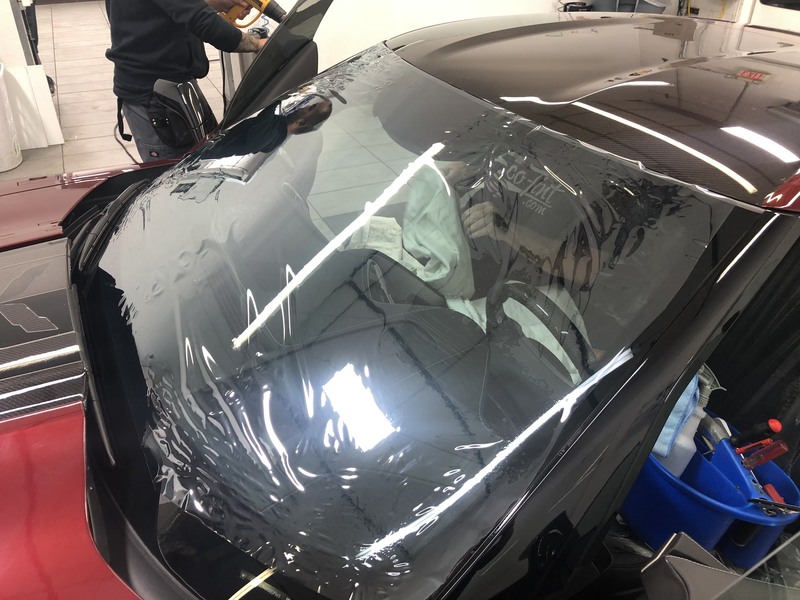 The super glossy, super-hydrophobic finish will sheet off water and dust for years while providing protection from lite scratches, water spots, corrosion, UV radiation, acids and salts. 4 YEAR / 60K MILE DURABILITY. Nano Ceramic Quartz Coating – long lasting paint protection – EVO PRO 10h ceramic quartz coating is the highest solid by volume and hardest sio2 ceramic coating on the market today worldwide. 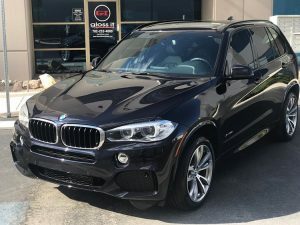 Gloss it has perfected the ultimate SIo2 Glass Ceramic technology offering exterior and interior protection for car enthusiasts who demand the highest level of protection for there luxury, exotic, collectible and or the daily driver. Protect your car’s polished finish with this durable ceramic car coating. Are you looking for the best car protection available for your paint and finish? The EVO 10H is a car coating protection that is formulated to last and only requires reapplication every 8 years or 100,000 miles! QUICK LIQUID GLASS SIO2 SPRAY-ON CERAMIC SEALANT COATING. ProBody is a quick liquid Glass SiO2 spray-on ceramic sealant coating that contains more than 15% SiO2 glass technology. The High hydrophobic effects prevent water, dirt or grime to stick and keep the coated surface clean for a longer period of time. ProBody-SiO2 is the best topcoat to boost up the super high gloss shine and water repellency of the Pro9H/10H ceramic coatings. ProBody-SiO2 can be coated onto any surface, even if Pro9H/10H was not applied before. The ProBody attributes high gloss and hydrophobicity to any surface for up to 10 to 12 months! HEAVY DUTY SIO2 CERAMIC COATING WITH MORE THAN 75% SOLIDS. Designed specifically to withstand extreme conditions this permanent protective coating has advanced heat resistance and super chemical resistance to protect your wheels and brake calipers from damage, dust and fallout.The Pro Wheel & Caliper attributes high gloss and hydrophobicity to any surface for up to 2 to 3 years with 2 to 3 layers. The high hydrophobic effect prevents water, dirt, brake dust or grime to stick and keep the coated surface clean for a longer period of time. Pro Wheel & Caliper is the best wheel and caliper protection against the harmful road grime and abrasive brake dust. This coating is also excellent on exhaust system and under-carriage. This is coating is resistant towards high temperatures from heavy racing or driving. Enlarges the surface tension of the glass and creates a self-cleaning effect with water-repellent performance that prevents from water and dirt to adhere on the glass. Clean glass and good visibility is a key safety factor when driving in bad weather. Water and dirt will bead up and run off the glass while driving. This ceramic coating contains the highest technically possible amount of active raw ingredients such as nano-scaled SiO2, which are responsible for beading performance and durability. EVO| PRO Windshield & Glass coating greatly improves visibility of the car windows and reduces dirt pick-up on the glass. 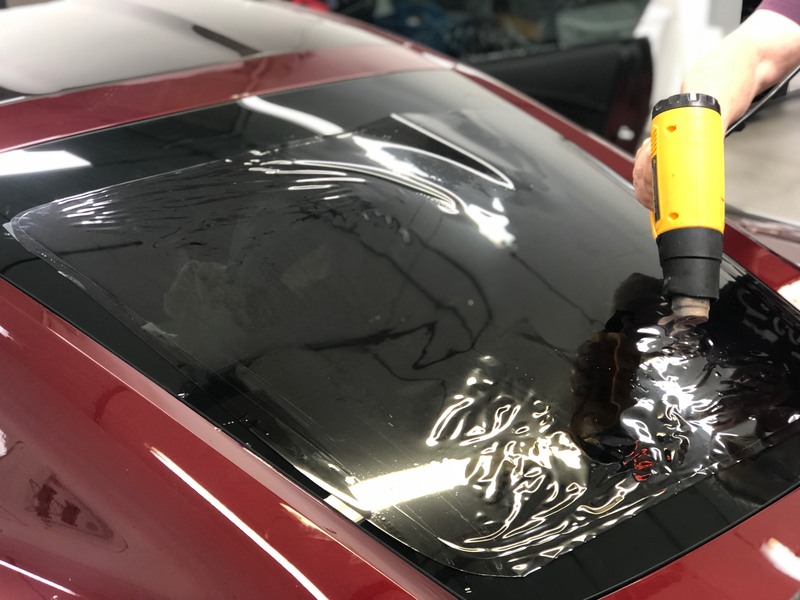 EVO Pro Plastic Renew & Protect is a highly-effective renewal and protective coating for interior and exterior plastic trim, vinyl and rubber surfaces. 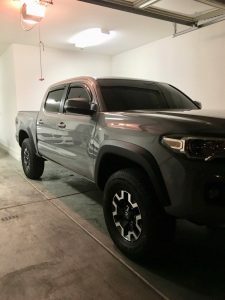 I came to gloss it desperate for help because of a bad ceramic coating job that another company did on my brand new truck, it was improperly applied and had really bad high and low spots. 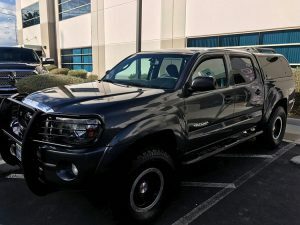 Rich and his crew took my truck in and went to work and wow I couldn't believe my eyes, I now know what a proper ceramic job looks like, it really does give your vehicle a very deep gloss. Rich is very knowledgeable in what he does and stands by his product, Thank you rich and your crew for the amazing service and for taking care of my truck. 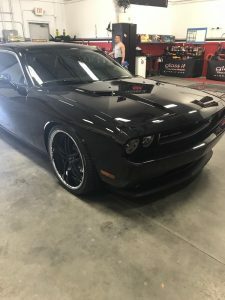 Bring your vehicle to gloss it for your ceramic job or any detailing service , they will not disappoint !